With +25% XP on Grandapan, Dodge and Brutas servers, DOFUS Touch motivate gathering and crafting players in mastering your professions. It should be noted that this bonus stacks with the Bonus Pack. The preview of the XP gained will not take into account the bonus. 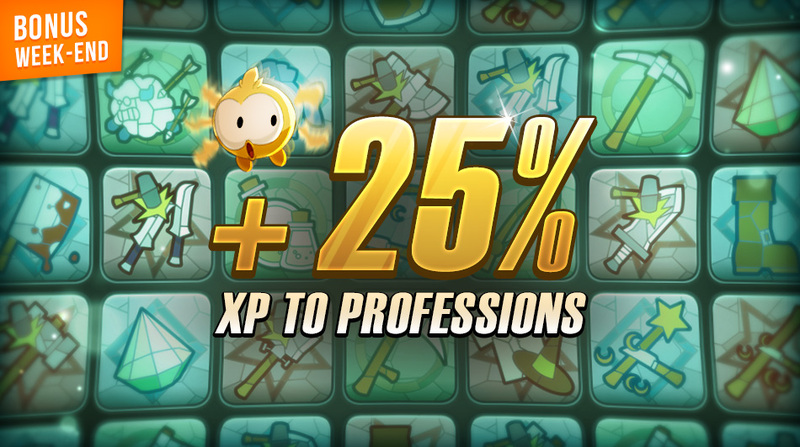 This weekend is + 25% XP for the craftsmen of the World of Twelve! Meeting on Friday at 6pm. Follow DofusTouch-Kamas on social media and look for the news page for the latest DOFUS Touch news.